Hi guys sorry it’s been a bit since I’ve posted. I’m graduating college tomorrow and things have been a bit hectic. I also am working on a revamp for a new blog, hopefully coming soon! Anyway a few days ago I received the new Colourpop Highlighters and some of their new spring eyeshadows and a lipstick. The reviews and this makeup look are down below, and for all my girls graduating, congrats! 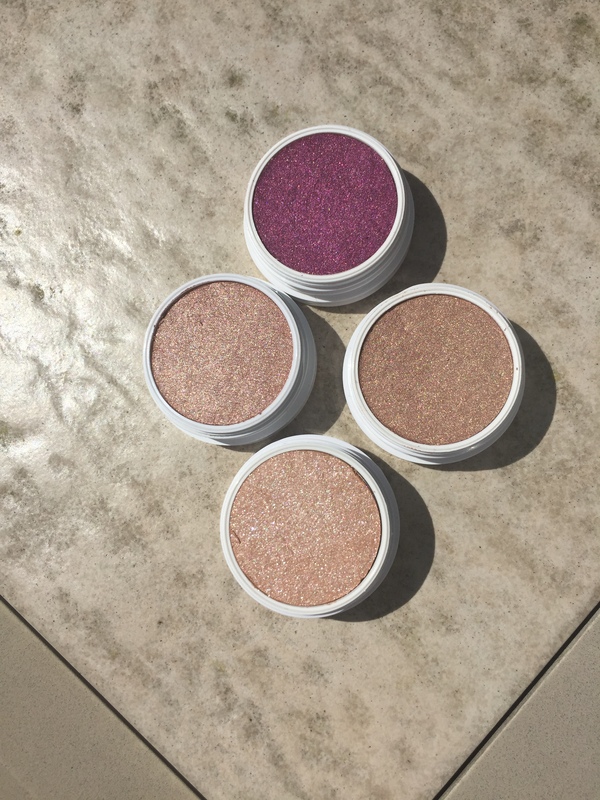 Find all products at colourpop.com. Above are all the products I picked up, I got four highlighters at $8 each, four eyeshadows at $5 each and a lippie stix also $5. 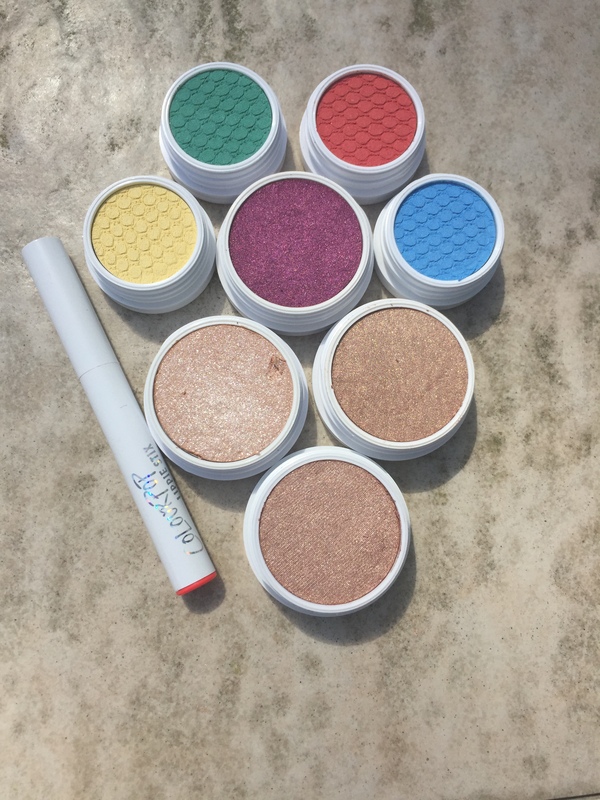 I love Colourpop’s consistent affordability and free shipping on $30 (believe me it isn’t difficult to spend $30 bucks there!). 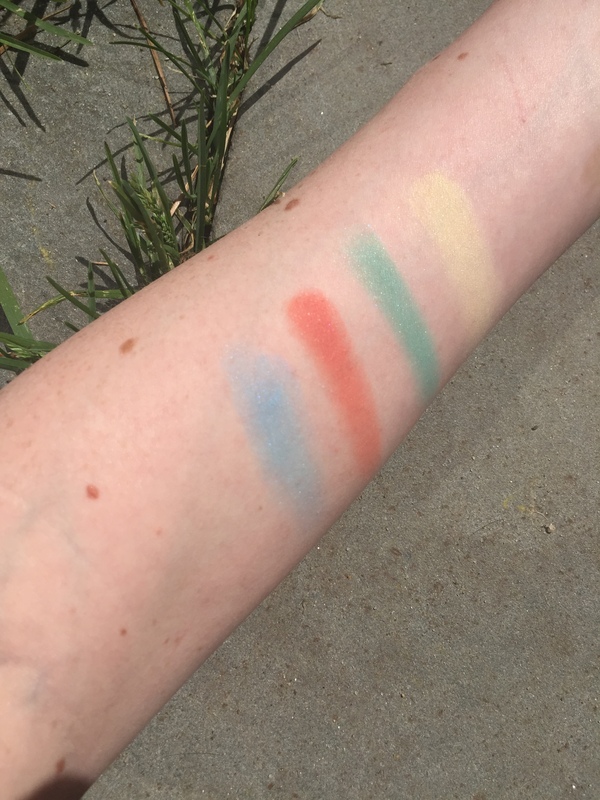 Below are my reviews for each category and swatches. Yes, I purchased basically all gold tone highlighters. 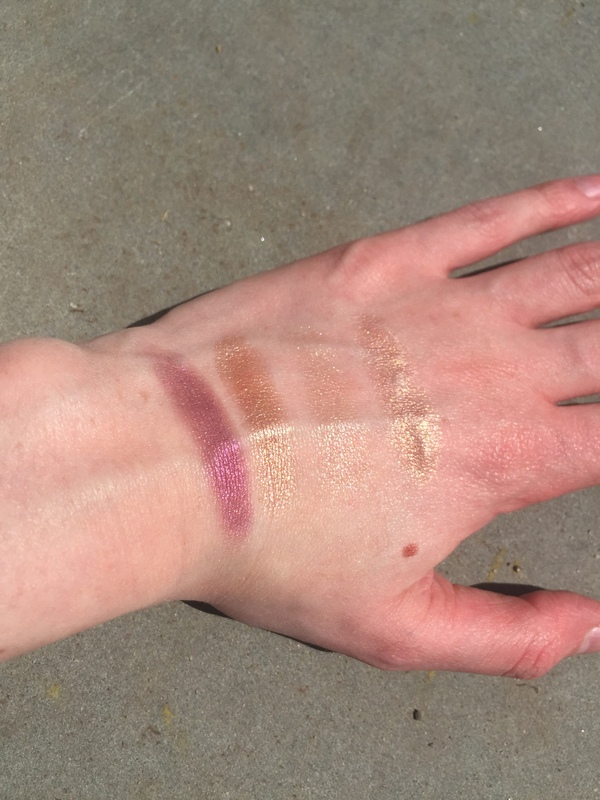 Even though I have fair skin I just love a gold highlight, and when I received these the three gold tones looked almost the same. But fear not, they are different! Also, I’m giving all of these an A++++, they’re the most beautiful glows I’ve ever used, and long wearing. I like them even above my Becca highlighter. I apply mine with my fingers. Sticky Sweet: This highlighter is a bright magenta, and its fierceness is real. I would def wear this as a blush, not really a highlight. But the pigmentation is insanely beautiful. Butterfly Beach: This warm golden highlighter will give even fair-skinned girls that J.Lo glow. I was hesitant of this highlighter as I thought it would be too golden for my skin, but it’s turned into my favorite that I ordered. 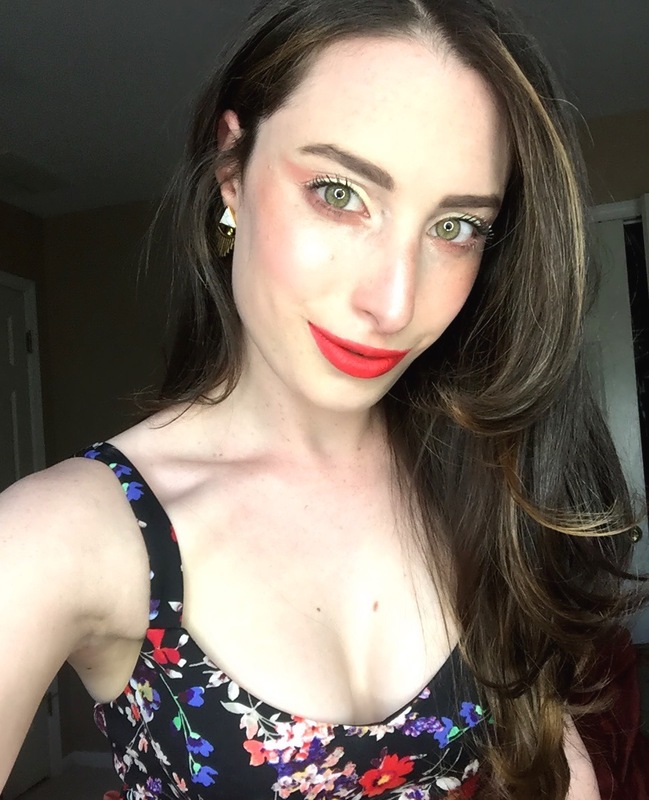 I’ve had a hard time with highlighters showing up with that in your face effect because of my freckles and fair skin. This one solves that problem. Spoon: Spoon is the lightest gold of the bunch. It has more of a champagne undertone and glittery flecks. Wisp: Wisp is slightly lighter than Butterfly Beach but still gives a beautiful sheen. I love this for everyday use. Hello: This color screamed summer, but its performance was lackluster for me. I think compared to many powder eyeshadow yellows it’s great. 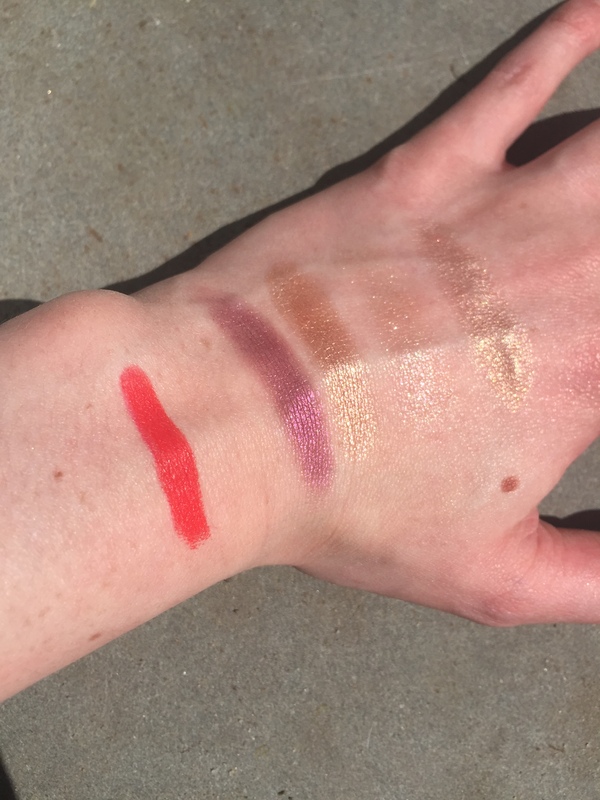 But as far as Colourpop’s usual standout pigmentation it fell a bit for me. But for $5 if you want a yellow that will show, this is a great option. 7/10. Brows: NYX Microbrow Pencil in Ash Brown with original Brow Bar to Go to fill in, can use an brown shadow or drugstore powder to fill in. 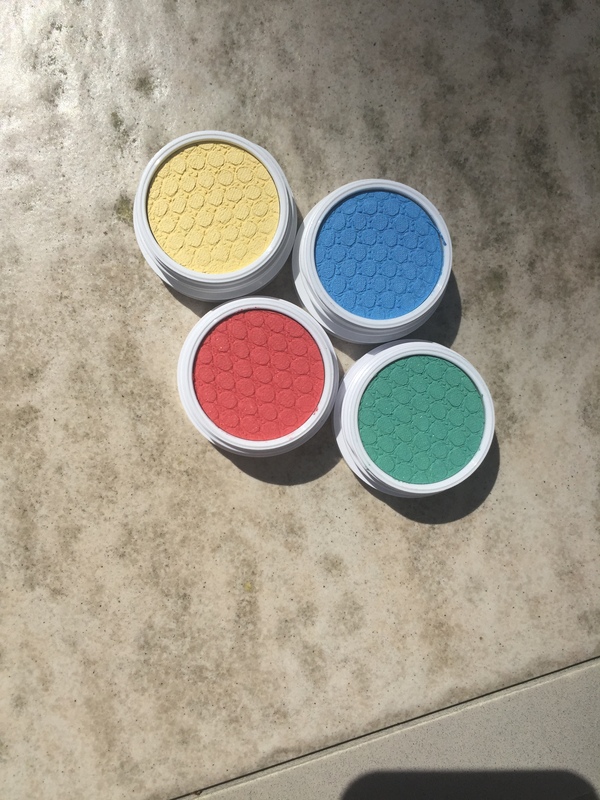 Eyeshadows: Lid: Colourpop Cosmetics Hello. 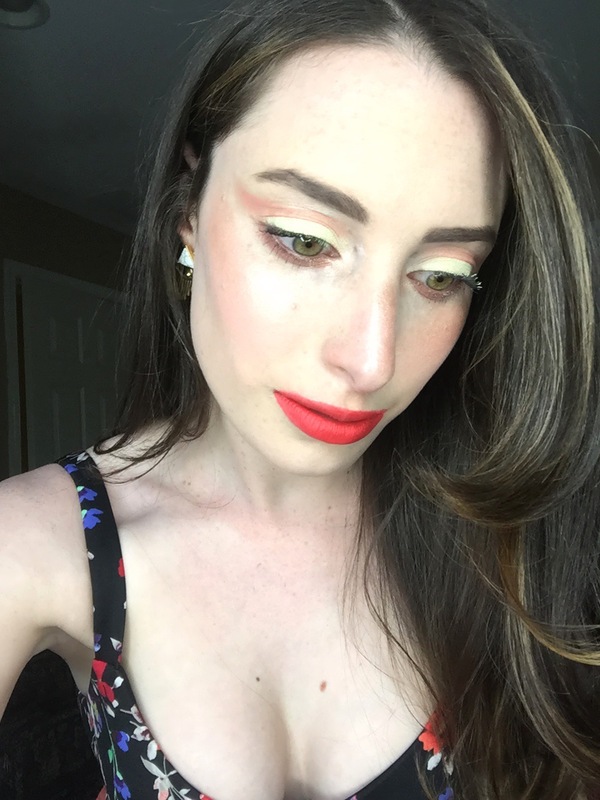 Cut Crease and Lower lashline: Colourpop Shop. Brow Bone: Colourpop Onai. Eyeliner: MAC Cosmetics Costa Riche on Waterline.